 NetTech Solutions offers a suite of software that together provides a turn-key solution to all your parking, permitting, citation, enforcement and payment processing needs. Explore below to see some of our offerings. Windows® based parking ticket management system designed to control all phases of ticket issuance, collections, hearings, correspondence and backlog collections. Our services include Internet credit card payments, delinquent notice processing, DMV name and address lookups, handheld ticket writers and hardware procurement. NetTech Solutions is a full service Parking Ticket Management vendor providing parking ticket software, systems and services including handheld ticket writers. PalmTech® assists parking enforcement agents in their day-to-day tasks of ticket issuance, identifying scofflaw vehicles and chalking of vehicles in time restrictive zones. Our system eliminates manual data entry and electronically updates the database with citation data quickly and efficiently. Mobile ticket writers provide the ability to maintain a high level of citation issuance, increase accuracy and reduction in overall costs. Increase your revenue by reducing errors that affect violator appeals, disputes and dismissals. MeterTech , developed by NetTech Solutions, is a cost effective, state-of-the-art Meter/Signage Management System. MeterTech® was developed exclusively for parking administrators for the inventory, tracking, and maintenance of parking meters and signs. MeterTech ® was designed using the latest computer industry technologies with continual enhancements adhering to the most current technologies. MeterTech is a scalable product capable of meeting the needs of small, medium and large operations – processing power without the high cost of larger database management systems. MeterTech functional capabilities enable administrative and managerial staff to perform all required activities to manage meter/signage inventory and maintenance processes. Flexible, efficient and cost-effective parking permit system that is easy to learn, simple to use, yet comprehensive in scope. PermitTech® incorporates all aspects of parking permit management utilizing the most current technologies.